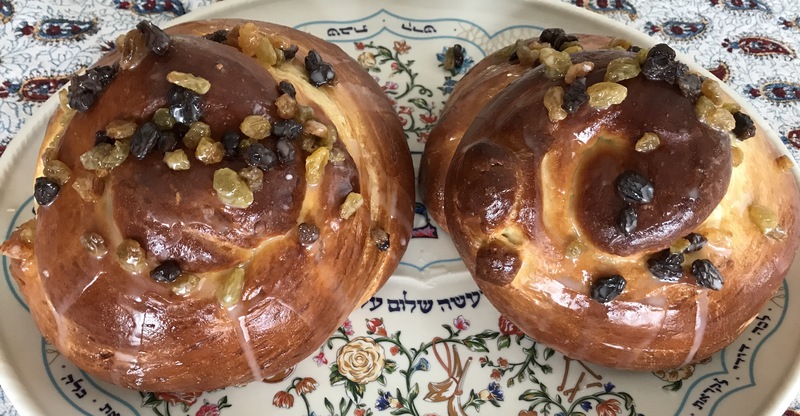 Practically perfect…that is the only way to describe this challah. 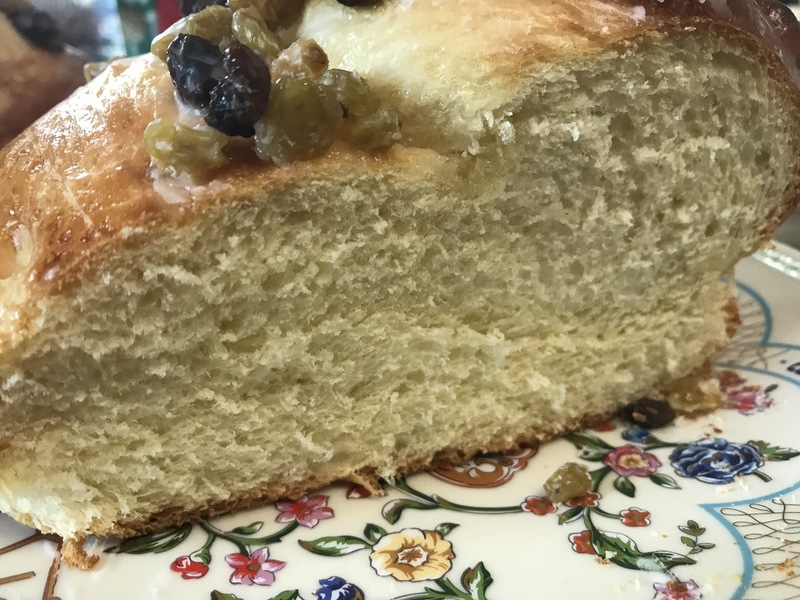 I can say that because this is not my recipe, it is actually a recipe from Doris Koplin of Atlanta that I got from Maggie Glazer’s book A Blessing of Bread. But truly, this was as amazing challah. 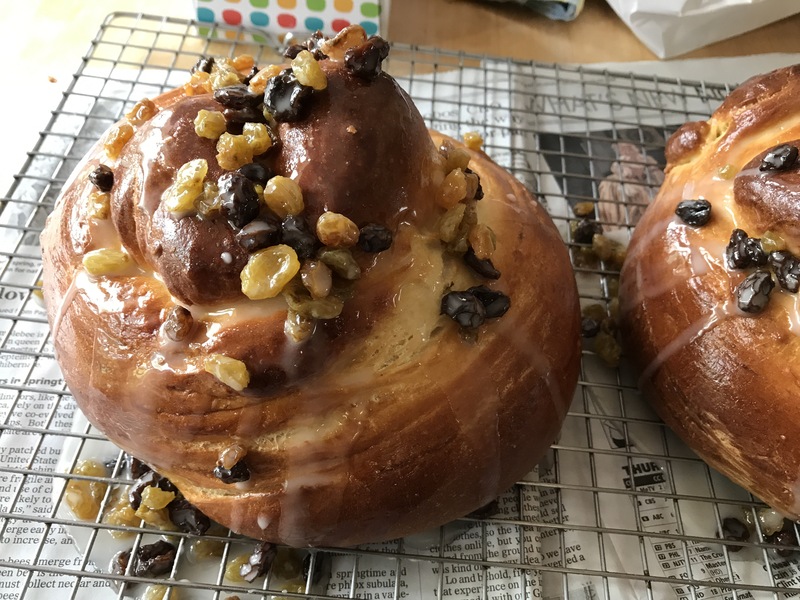 With the icing and raisins it was like a perfect breakfast cake (I used a thin coating of icing); without it is an eggy challah with a soft pillowing texture. I made this the week before my son’s 8th birthday. 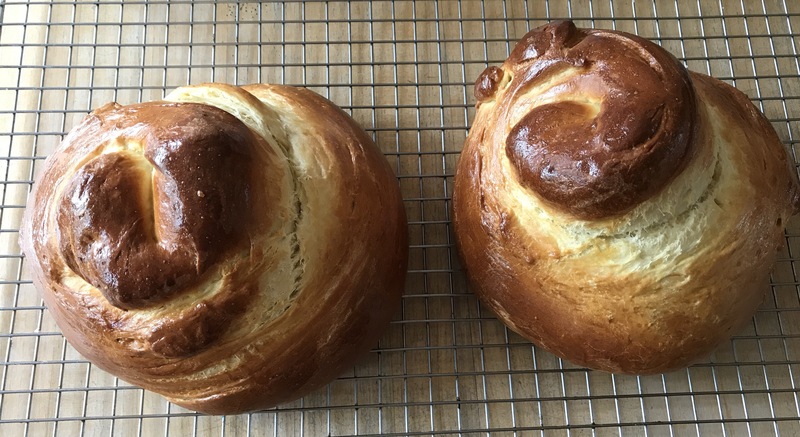 When I told him I was making a challah with icing, he asked if it was for his birthday. I told him that he could decide once he tasted it whether he wanted it to be his birthday weekend challah. All it took was one bite for him to decide it was definitely the challah for his birthday. In a large bowl, whisk together the yeast and 3/4 cup of the flour, then whisk in the warm water until smooth. Let the slurry stand uncovered for 10 – 20 minutes, or until it begins to ferment and puff up slightly. 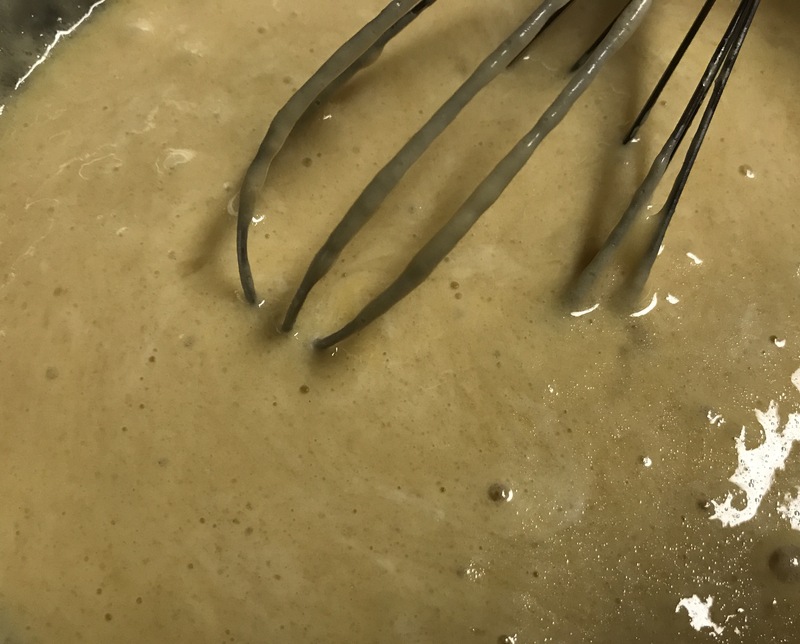 Whisk in the 2 eggs, egg yolk, oil, salt and sugar into the puffed yeast slurry until the eggs are incorporated and the salt and sugar have dissolved. 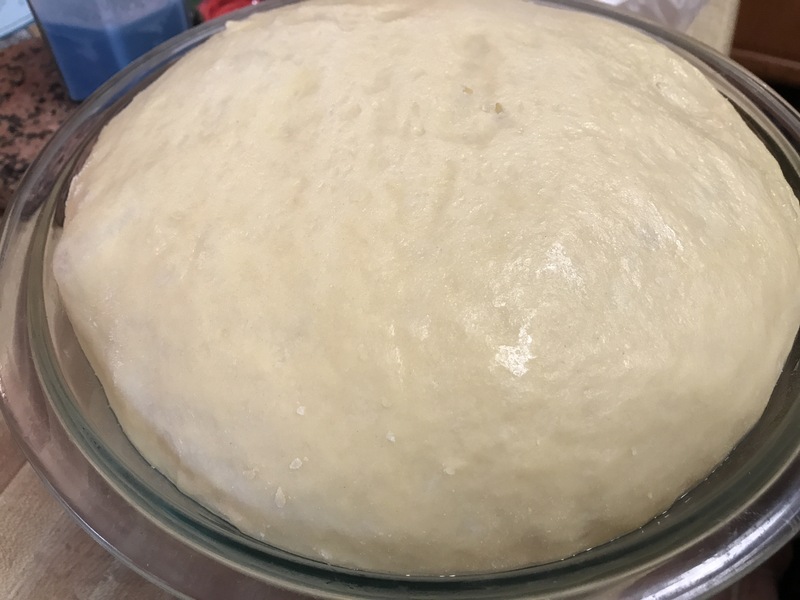 Place the dough in the warm bowl and cover with plastic wrap (or a reusable bowl cover). 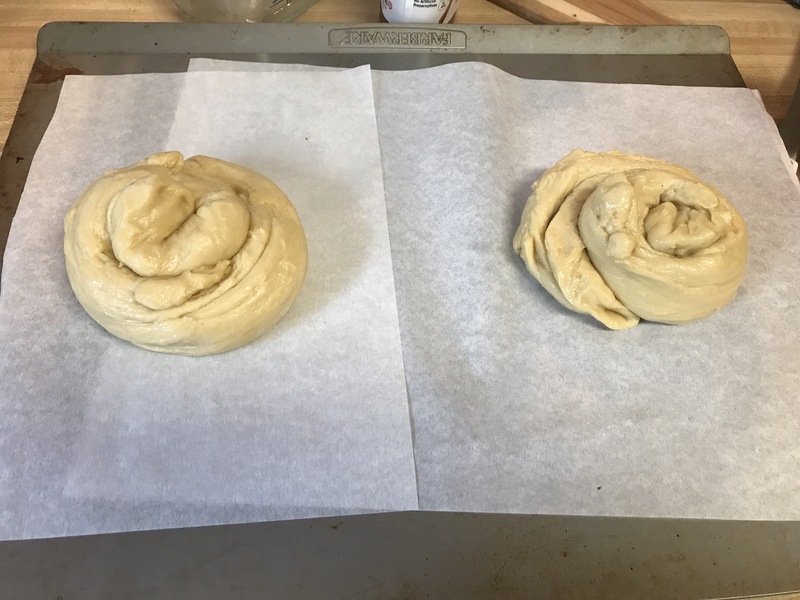 Refrigerate the dough overnight. The next morning, remove from the refrigerator and let it rise until it has doubled in bulk, about 2 hours. Line a large baking sheet with parchment paper. 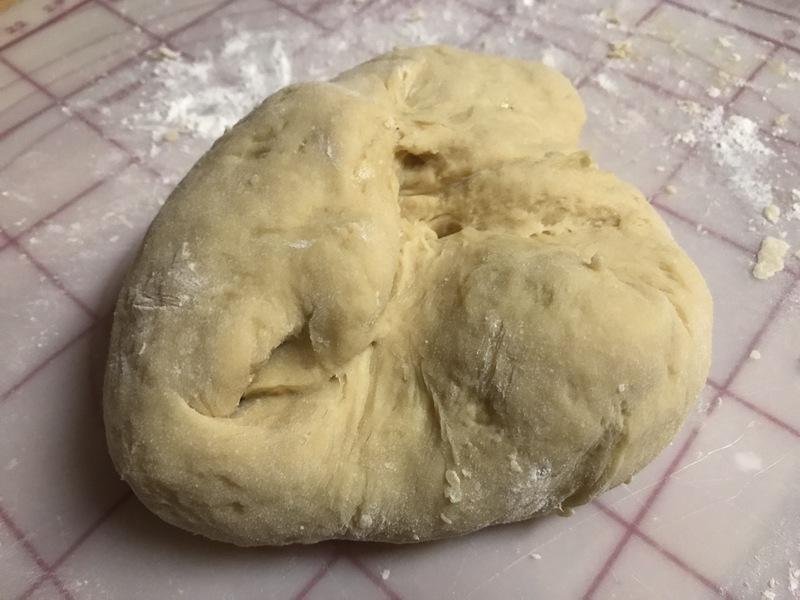 Divide the dough in have and braid or shape each loaf as you desire. Cover in plastic wrap. Let it proof until tripled in size, about 1 1/2 hours. 30 minutes before baking, arrange the oven rack in the top 1/3 of the oven and heat to 325F. Beat the remaining egg with a pinch of salt for glazing the breads. When the dough has tripled and remains indented when gently pressed with your finger, brush the bread with the egg glaze. Sprinkle with the seeds if desired. Bake for 25 – 35 minutes until well browned. Remove from the oven and cool on a rack. 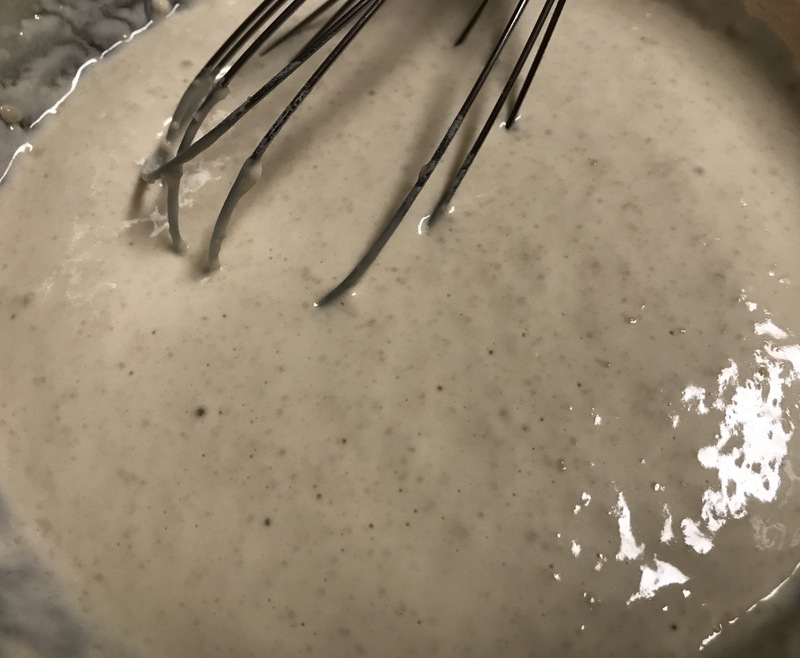 If you want to ice the loaves, when they have cooled, in a large bowl, stir the confectioner’s sugar with 2 Tbsp water until a thick paste forms. Mix in the raisins and enough water to make the icing the consistency of thick cream. Spoon over the cooled challah, and allow it to set and dry for at least 30 minutes, preferable for 1 hour.